This collection of essays is an introduction “anti-imperial” or “Empire Criticism” approaches to the New Testament from a decidedly Evangelical perspective. While these approaches have been around for a number of years, Evangelicals have been slow to interact with them. This volume of essays is a step toward bringing some of the value of studying Empire to a more conservative audience. Since my review was too long for a single post, I will cover the first half of this book here, the second half is here. But that is not the point of Jesus is Lord, and that is certainly not the value of Empire studies for understanding the New Testament writers. In my approach to the New Testament, context is everything, especially historical context. Most Bible readers do not have a firm grasp of Roman history of the first century. Other than watching Gladiator or a vague memory of high school world civ classes, the Roman world is largely unknown. For most Christian readers, the word “Lord” means Jesus and “Gospel” is “how I get saved.” But in the Roman world of the first century, those words carry some political overtones that could be considered radical when applied to someone other than Caesar. The first two chapters attempt to set the stage for the rest of the book. In fact, these two chapters account for about one quarter of the total page count of the book. In the first chapter, David Nystrom surveys Roman Imperial ideology and the Imperial cult. By the first century, the Roman empire was a vast, socially stratified entity that was thought to have been ordained by the gods themselves. 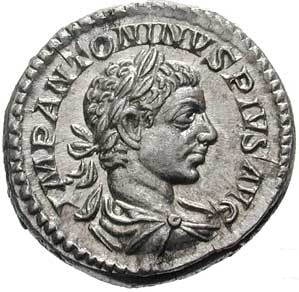 Augustus used both patronage and religion to solidify his power base as emperor. 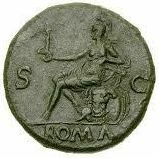 Worship of the idea of Rome and the emperor as a deity was common in the very regions where Pauline Christianity took root, Ephesus and the Asia Minor. Judith Diehl’s contribution to the book is the longest, and in many ways the most satisfying. She begins by surveying some of the same history as Nystrom, but then touches on the potentially anti-imperial elements of the Gospels, Acts and Paul. In the second part of the chapter she describes several sub-disciplines that are often allied with Empire studies (for example, colonialism, social gospel, patronage, post-colonialism) and shows how these theoretical methods may shed some light on the text. Certainly patronage is a major factor in the problems at Corinth, but even Paul’s description of the return of Jesus as parousia might be seen as a contrast to the glorious arrival of an Emperor. In the third section of the chapter Diehl surveys literary approaches that are often a major component of Empire studies. She first describes how symbolism might be construed as subversive language and then gives a few examples of how this works. The most obvious place to find symbolic language which is almost certainly subversive and anti-imperial is Revelation 18. She calls apocalyptic “protest literature (73) and shows how “John creatively convinces his audience that there is only one authority in the world that is worth of human devotion and service, and it is not the Roman emperor” (76). Three chapters are devoted to Empire Studies in the Gospels. First Joel Willitts interacts with David Sim (Apocalyptic Eschatology in Matthew) and the wealth of material produced by Warren Carter on Matthew. Willits thinks these studies are valuable, but he thinks that ultimately they do not contribute much to the interpretation of the Gospel of Matthew. Post-colonialism, for example, is not “a very reliable method for interpreting ancient texts” (93), it is the Jewish Scriptures [that] provided the larger story in which Matthew’s Jesus fits” (96). Dean Pinter’s chapter on Empire in Luke asks two questions. First, does the gospel of Luke indicate antagonism or rivalry toward the Empire? Despite the fact that Luke refers to Jesus as both Lord and king, he never actually creates an antithesis between the two (110). It is not as though Jesus is presented as an up-and-coming rival to the Roman Empire, but rather that Caesar is a rival to Jesus; it is Jesus that is the true Lord and Savior and Caesar is challenging his supremacy (111) What I found disorienting about this chapter is that the focus is solely on the Gospel of Luke, bracketing out the book of Acts (although there is a nod to the second half of Luke’s work in the conclusion to the chapter). I would have rather had a longer chapter on Luke and Acts as a whole, or maybe a third chapter trying to integrate the material in some way. Christopher Skinner begins his chapter on John in the imperial context by pointing out that in comparison to the synoptic gospels, there is far less interest in Rome and far more interest in presenting a “theology of Jesus.” What makes John of interest is the consensus view that he wrote from Ephesus toward the end of the first century. Again Warren Carter has written a monograph on John and Empire (T&T Clark 2008), so Skinner must interact with his arguments. In the end, Skinner states that Carter “tries to do too much history with too little evidence” (124). Drew Strait takes on the problem of Acts and Empire. The topic is difficult primarily because most commentators find a very positive view of Rome in Acts. 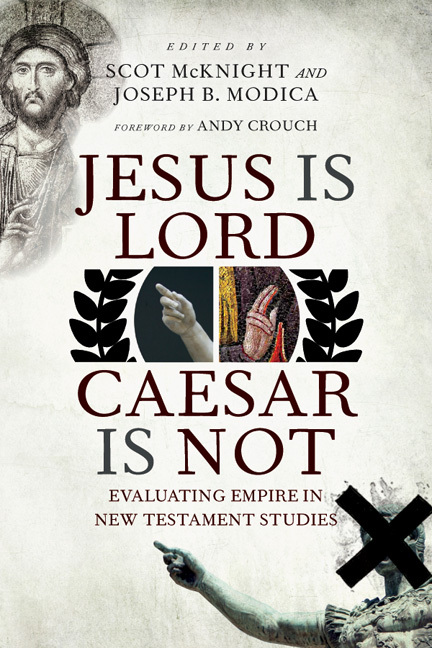 Strait examines this consensus view as well as recent challenges and concludes that Luke is not openly critiquing Caesar, and that a critique of the Empire was not his purpose in writing Acts. Jesus is the Lord of all in Acts, and there are some indications that the preaching of the Gospel is a challenge to Rome (Thessalonica, Acts 17), but that is not the purpose of the book. This conclusion is good, but here is where I would have liked to have some synthesis (or dialogue) between this chapter by Strait and Pinter’s on Luke. Can the sort of language found in the birth narratives, for example, help us understand the more positive view of Rome in Acts? Click for the second part of this review. 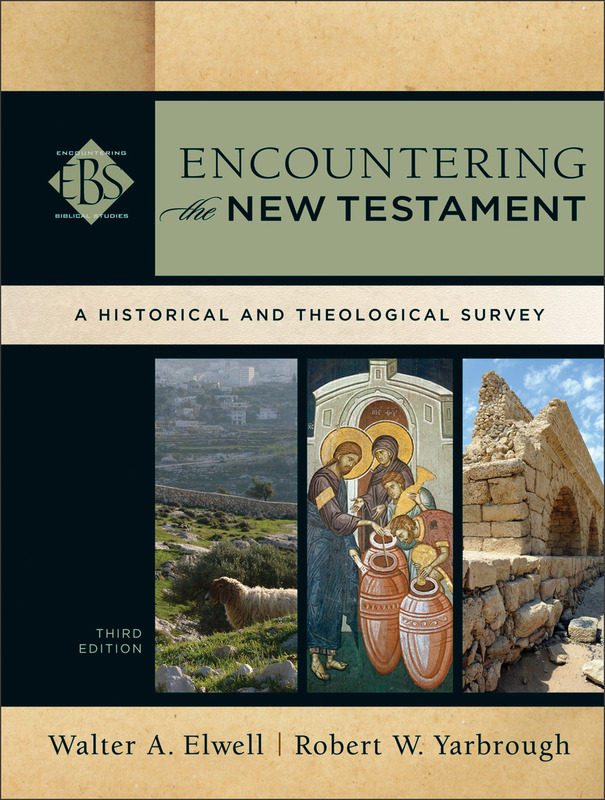 The Encountering the Bible series from Baker Academic includes an Old and New Testament Survey (reviewed here) as well as several texts on specific books designed for a College or Seminary classes. Encountering the Book of Romans was originally published in 2002, but has recently been released as a book in the Logos Bible Software library. Moo is well-known to students of the book of Romans, having written a commentary on Romans in the Wycliffe series (Moody, now out of print), a major commentary on Romans for Eerdmans (NICNT, 1996) and the NIV Application Commentary volume on Romans for Zondervan (2000). In addition he has written numerous journal articles on aspects of Romans, both exegetical and theological. He has also written commentaries on James and Colossians/Philemon in the Pillar New Testament Commentary series (Eerdmans), and his Galatians commentary is due this fall in the Baker Exegetical Commentary series. His NICNT volume is excellent; I included it among my “Top Five Romans Commentaries” last summer. Moo’s contribution to the Encountering the Bible series distills his thinking on Romans into a very readable form, intended to introduce students to the major issues one needs to face when reading Romans. Like other books in this series, Encountering the Book of Romans is designed to be used in a classroom. The chapters are brief and divided into clear sub-units. Each chapter begins with clear objectives (“after reading this chapter you should be able to….”) The chapters conclude with study questions that could be used for writing assignments for a class on Romans. Key terms are listed at the end of a chapter and appear in bold in the body of the text. Like most textbooks, there are numerous text boxes scattered throughout the book that give additional information or connect the text of Romans to larger questions of Pauline theology. The book is divided into six parts, beginning with some basic orientation to the study of Paul. The first three chapters discuss briefly the impact of the New Perspective on Paul on the study of Romans. For the most part, Moo does not depart from the standard conservative view on the origins of the Roman church and the situation for Paul’s writing of the letter. For Moo, the letter is written in A.D. 57 from Corinth, just prior to his return to Jerusalem to deliver the Collection. Paul’s intention is to prepare the way for a potential ministry trip to Spain. The church of Rome was founded by Jewish believers who perhaps first heard the Gospel at Pentecost, but many of those Jewish believers were expelled from Rome by Claudius. While some Jews have returned to Rome, the churches Paul addresses are primarily Gentiles, especially God-Fearing Gentiles. Moo contrasts the “classic” view beginning with Luther with the recent critique of that status quo by E. P. Sanders, but more important for Romans, James Dunn’s Word Commentary on Romans. Moo states that most scholars find Sanders’s view of first century Judaism accurate (p. 25), but the New Perspective goes too far when they reduce the gospel in to only a “people of God” issue. For Moo, Romans 1:16-17 is “basically about the restoration of the individual sinner’s relationship to God” (p. 28). Moo describes his approach as a “modified reformation approach,” although he does attempt to show how both side approach any given text or issue in Romans. Moo says that “The reader should know that I have taken a mildly critical stance toward the new perspective in this volume” (p. 28). But this book does not vilify the New Perspective. For Moo, there is still much to be learned from Dunn. Moo is not able to interact with N. T. Wright’s commentary on Romans (in the New Interpreter’s Bible), which was published the same year as this book. The body of the book forms a commentary on Romans in five sections. There sections Moo uses are fairly standard (1:18-3:20; 3:21-4:25; 5:1-8:39; 9:1-11:36; 12:1-15:13, with an addition chapter on 15:14-16:27). The commentary is based on English, although there are occasional references to the Greek text (always in transliteration). Moo manages to treat the classic exegetical problems in Romans with brevity and clarity. For example, the meaning of baptism in Romans 6:3-4 is covered in a well-written paragraph that introduces the major views (p. 113). Moo states his view very clearly (“I suggest…”) and alerts the reader to similar views from James Dunn and G. R. Beasley-Murray via footnotes. “All Israel will be saved” in in Romans 11:26 is another exegetical conundrum. After surveying the options, Moo states “I think that verse 26a predicts the conversion of a significant number of Jews at the time of Christ’s return in glory, and I am deliberately vague about the timing” (p. 171). Once again, there is enough here for a student to find options, compare views, yet Moo does defend a position. As an introduction to the book of Romans, this book is an excellent choice for undergrad classes and a good choice for graduate classes. At the graduate level, I might suggest Karl Donfried’s The Romans Debate (Revised and Expanded Edition; Hendrickson, 1991) as a supplement to Moo’s book. Encountering the Book of Romans appears in the Logos Library. While there is a Kindle version of this book available from Amazon ($15.39), it does not include page numbers at this time. Unlike the third edition of Encountering the New Testament or the Kindle version, Encountering the book of Romans in the Logos Library does not include illustrations and text boxes appear as text in a monospaced font, set off by lines rather than a colored box. The print version has two columns per page with endnotes, the Logos version is single column and footnotes are embedded. Reading a book with notes in Logos works very well, especially compared to the Kindle version. On the desktop version of Logos, all of the features found in Logos are available when reading the book. Footnotes are links which float the user mouses over the number, or they can be clicked to highlight text in the notes (this is handy for copying bibliographic entries). Some Logos books on the iPad place the notes at the bottom of the page (the Pillar New Testament Commentaries, for example), but Encountering Romans does not. On the desktop the user is able to search the book in ways you cannot with a paper copy. For example, I wanted to see all the references to Dunn (there are 23) and Wright (there are only three). While an author index is commonly appended to a book, the printed index is not comprehensive (only one reference to Dunn, none to Wright). Perhaps more useful is a search on justification (65x), with only 16 appearing in the printed index. The printed index does sort these references by topic (justification by faith, for example), but that can be done in a Logos search as well. Logos on the iPad syncs with the desktop version. This means that highlights and notes made on the iPad appear on the desktop version, and vice versa. For this review, I read on my iPad and made a few notes and highlights. When I opened Logos on my laptop, all of those highlights and notes were immediately available to me. Conclusion. Doug Moo’s Encountering Romans would make an excellent introduction for a Romans course. The book is easy enough to read that it is appropriate for an undergraduate course, but Moo’s interaction with contemporary scholarship makes the text a good addition for a graduate level class as well. I think that it is more accessible than The Romans Debate, and probably more appealing to more conservative audiences. Thanks to Logos for kindly providing me with a review copy of these books. This did not influence my thoughts regarding the work. Baker Academic released a third edition of their New Testament Survey textbook in May of 2013, the Old Testament textbook is in a second edition (2008). I have used both books in Bible Survey courses and found them to be excellent textbooks for an undergrad, freshman level course. Both books come with a CD-ROM containing a number of student helps. (The introduction to the books describes this CD as “fun and informative to use,” my students did not find it helpful at all.) Baker has continued to improve the books by adding online resources for both professor and student for Encountering the New Testament. But this does not mean that these books ignore contemporary methods for reading the Bible. In EOT Arnold and Beyer discuss the Documentary Hypothesis as well as multiple authorship theories for books such as Isaiah. While they do not accept these theories, they are conversant with and respectful of these views. Likewise, in ENT Elwell and Yarbrough have a very well-written chapter on Historical Jesus issues. Their conclusions are solidly conservative evangelical, but the student will have enough understanding of the issues at stake to move on to more advanced studies in the gospels. Both books are richly illustrated and have many side-bars and charts to help the student manage the information presented in the chapters. Some of the pictures in EOT are not very high resolution (or are old, p. 185, Tel Dan). The presentation of maps in both books is minimalistic, which in most cases works very well. They use a few colors to highlight the theme of the map, and only mark locations that are important for that map. Each chapter has clear objectives and a set of key words” that the student ought to be able to define and describe after reading chapter. There are a number of text-boxes containing parallel literature (ANE literature, church fathers) or longer quotes from contemporary scholarship. Some boxes deal with theological issues. For example, In EOT, there are paragraphs on Evolution, the origin of Evil, Sexuality in Leviticus, etc. In ENT, there are “focus” boxes that discuss modern applications of the text, such as Miracles, Missions or Persecution. These books are well-designed for use in a classroom. My impression is that they will be welcome in a conservative undergraduate environment, although there is enough depth in each book that they could be used in Introduction courses at the seminary level. I think that both books would be excellent for an interested layperson who wants to develop their knowledge of the Old and New Testaments. Both Encountering the Old Testament and Encountering the New Testament are designed to be used in the classroom. To this end, the books include the sorts of things usually found in textbooks – chapter objectives, key terms, review questions, and bibliography. Baker provides resources for the professor as well as study aids for the study as a part of their Textbook Sources site. Student resources include online videos introducing each chapter and chapter summaries. The online videos are simply Robert Yarbrough talking for about two or three minutes. There are no graphics or production at all, so they are not exactly exciting to watch. The questions at the end of the chapter are reproduced on the website. Students can review with a web-based flashcard system and take a practice quiz. The student receives feedback on why answers are incorrect after they complete the quiz. There is also a flash card deck for Quizlet, an app for iPad and Android platforms. I would suggest that this data be ported to Study Blue, another popular study aid for iOS. At this time, there is no Kindle version of either book on Amazon. 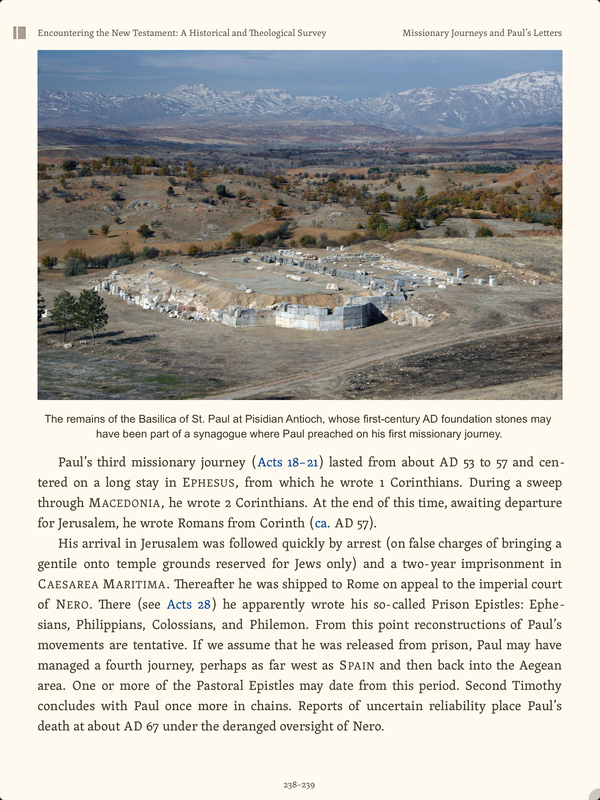 Encountering the New Testament is available on the Baker website as an ePub book ($37.49). Both books are available in the Logos Library. This means that all of the features of Logos can be used for these books. Everything is linked in a Logos book, including scripture references and indices. Just one example: I clicked on a text box from Eusebius and it opened my copy of Church History in the Post-Nicene Fathers set. On the desktop version of Logos, the reader can read footnotes and scripture in floating boxes. Clicking on scripture will open the text in your favorite Bible. Logos has a timeline feature. When a date is given in the text of either book, the user can click the timeline flag to open the Logos Timeline. Photographs in ENT can be sent to PowerPoint or copied and pasted into any program. Words marked in bold in the print version indicate the word appears in the glossary. Moving the mouse over the bold/blue text floats the glossary entry. Clicking the title on the Bibliography at the end of a chapter will allow the user to copy and paste the bibliographic entry in plain text, BibTeX or Refer/BibText formats (for importing into Zotero, for example). In almost every case, the user will want to use the plain text format. One of the most interesting features of ENT is that the end-of-chapter questions can be answered in the book itself. A small textbox appears under the question and the reader can fill in the answer for themselves. Unfortunately this box does not expand, I entered about three lines of text before the text scrolled up. The boxes accept Unicode fonts (I pasted Greek and Hebrew). I am not sure if there is a limit answers, but I pasted the entire book of Galatians into the box without any problems. I do not recall this “workbook” feature in a Logos book before, but it has promise. If the Question Box could be printed (or exported to an RTF file) with the answers inserted, this would be a way for students to do the questions as a homework assignment within Logos itself. 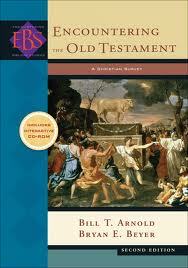 Encountering the Old Testament is still in the second edition and is not as advanced as ENT in the Logos version. There are no photos or maps in the electronic version. All of the text features are present, but none of the bells and whistles. In fact, there is no ePub version available for EOT at this time. I assume that if Baker does a third edition of Old Testament book that they will develop classroom resources and will include the features found in ENT. Many students are using Kindle or some other ebook reader for their textbooks. Using Logos to read these books a very enjoyable. All of the features of the iPad Logos app are available, including highlighting and note taking. 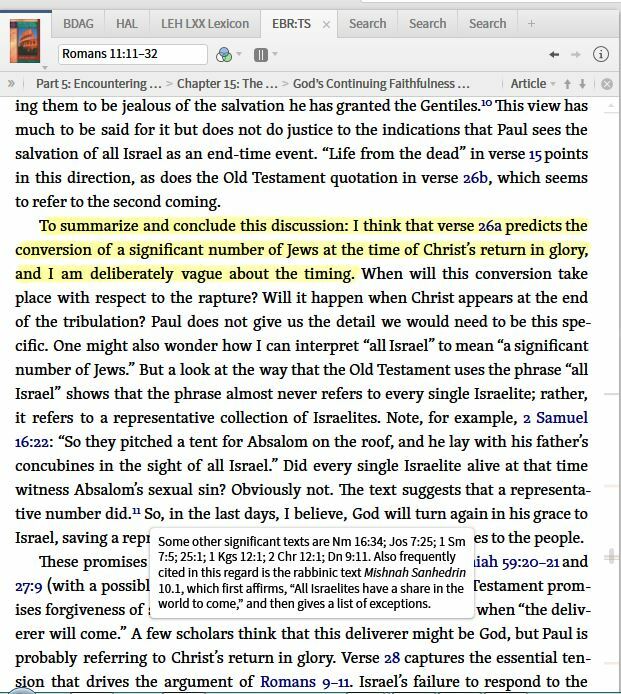 The iPad version of Logos does not have timeline feature, but both footnotes and scripture will appear in a floating window. (Some Logos books have the footnotes at the bottom of the page, but that is not the case for these two books). Tapping a word that appears in the glossary will take the reader to that entry in the glossary; although the “return” navigation button is sometimes hard to see (it is an arrow in the upper left hand side of the screen). I would have preferred glossary entries to float like Scripture or foot notes links. The photographs in ENT look great on my iPad 3, although there does not seem to be any way to zoom with the pinch gesture. I rotated the iPad to landscape and the photograph was much larger. The photographs sometimes appear on a single page, sometimes embedded in the text. I assume that this depends on the size of the photograph. Unlike the desktop version, there is no “send to Keynote” feature, and although the photographs appear to copy, I cannot find a way to paste them into Keynote, Pages or Evernote. If you were really desperate, you could take a screen shot and edit the photo. The charts look good on the iPad, but sometimes they run over a screen break. It would be nice to force charts onto a single screen. A real benefit for reading books in Logos is that real page numbers are included. On earlier Kindle books, it was impossible to find a real page in a book. (If the syllabus says “read pages 42-53,” a Kindle user had to poke around until they found the proper section. This is addressed in newer Kindle books.) The Logos books have very detailed table of contents with links to specific sections. In addition, each chapter begins with a list of topics linked to chapter sections. The books have both brief tables of contents as well as a detailed one. On the iPad, Bibliography, if the book appears in the Logos library, the title is a link to the book. If you happen to own the book, the Logos app will open the book for you. Like the desktop version, study questions in ENT can be answered in Logos itself. I personally find reading a book in the Logos App a better experience than in the Kindle App, at least on the iPad. Conclusion. Both of these books are ideal for a Bible survey course, either at the undergraduate or graduate levels. As I said above, they are solidly evangelical although they interact with a range of scholarship that might challenge more conservative readers. Thanks to Logos for kindly providing me with a review copy of these books in the Logos Library. At some point in the past Baker provided me with classroom review copies. This did not influence my thoughts regarding the work. The latest Journal for the Study of Paul and His Letters (Spring 2013) arrived today. There is no “theme” for this issue, but there is a response to Steven Enderlein’s article on Romans 3:23 from a 2011 JSPL issue. Stanley Porter and Wally Cirafesi. In that earlier article Enderlein argued that the verb ὑστερέω, traditionally translated as “fall short” in Romans 3:23 ought to be translated as “lack.” The verse would then read “all have sinned and lack the glory of God.” He goes on to argue that this leads to a subjective reading of πίστις Χριστοῦ. Porter and Cirafesi agree with his translation of ὑστερέω, but do not agree that this forces a subjective (as opposed to an objective) genitive of πίστις Χριστοῦ. (For those who missed the 9000 articles on pistis christoi, if the genitive is subjective, then Paul is focused on the “Jesus’ faithfulness” rather than “faith in Jesus.”) Enderlein finds the subjective reading more coherent in the context of Romans 3-4. He has in mind “Adam allusions” throughout Rom 1-7, especially in 3:21-26 and 5:12-21. I enjoyed David Starling’s article on “The Children of the Barren Woman: Galatians 4:27 and the Hermenutics of Justification.” He reads the somewhat odd allusion to Isa 54:1 in the context of the story of Israel, which is the context of the middle section of Galatians. In fact, Starling points out that Paul’s use of Isa 54:1 is without parallel in the Second Temple Period. Isaiah 54 was written to Israel while the nation is still in exile in a Gentile nation (still under the curse), and for Paul, Israel is still in this typological exile. Everyone is under the power of sin and must “come of out of the exile” in the same way, by means of God’s grace and not Torah observance. There is also a long article my Mark Nanos on “Paul’s Polemic in Philippians 3.” I browsed a few pages, looks like it is well-worth the read. There are a number of other articles in this number of the Journal, including Nijay Gupta’s review of Christ Tilling’s Divine Christ in Paul. If you have not subscribed to Journal for the Study of Paul and His Letters, you are missing out on a wealth of quality scholarship. In 2 Tim 1 Paul has told Timothy to model his life and ministry after Paul, recalling the examples of both his family (Lois and Eunice) and Paul’s co-worker Onesiphorus. He ought to avoid the example of the false teachers in Ephesus, namely Phygelus and Hermogenes (1:15) and Hymenaeus and Philetus (2:17). Timothy is to be an approved workmen, properly handling the word of God. 2 Tim 2:15 is classic verse for modern “noble Bereans” since it implies that the maturing person of God will become increasingly able to read the scriptures with intelligence and confidence. 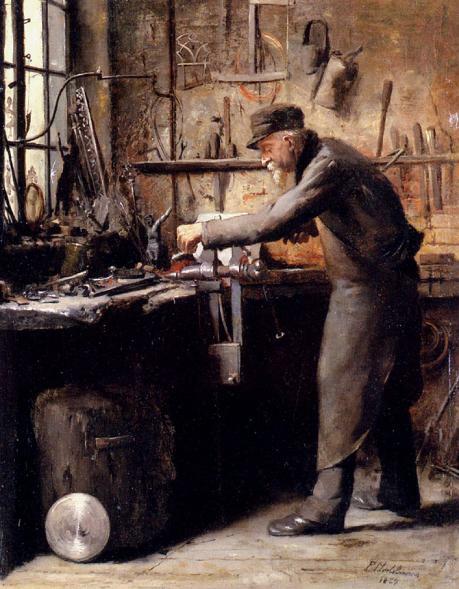 We sometimes talk about “learning a trade.” The more sone works and being a carpenter, for example, the better one gets. Paul’s point is that we ought to use the Scripture in a way that it was intended: do not twist scripture to make it say what you want it to say, or would prefer it to say. Andrew at The Blog of the Twelve has posted the June 2013 Carnival. Head on over for a healthy helping of biblical studies goodness. 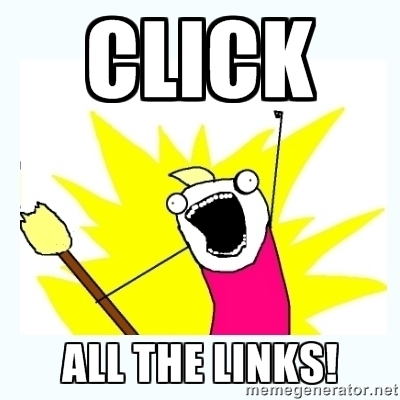 (Click on all the links at least once, everyone will be happy with that.) At the very least, visit Andrew’s Carnival to see a photo of N. T. Wright in 1980. In other BiblioBlog news, The Bibliblog Top Fifty was resurrected in the last few weeks (although it may yet turn out to be a post death vision experienced by close disciples still reeling from the death of the founder). Larry Hurtado’s blog was listed as the Number 1 biblioblog this quarter, based on the contributions the blog makes to scholarship rather than traffic. In addition to the latest version of the complete list of BibloBlogs, there is a complete list of Biblical Carnivals. Using the WayBack Machine, you can still read the very first Carnival, posted by Joel Ng on April 6, 2005. Another “blast from the past” is a collection of BiblioBlog interviews, from 2007 through 2009. So get out there and click, read, think. If you are interested in hosting a carnival int he near future, contact me (plong42 at gmail dot com) and I will get you on the list.